Designed to redefine opulence, this split shank ring features a round diamond that sparkles away in its entire splendor. 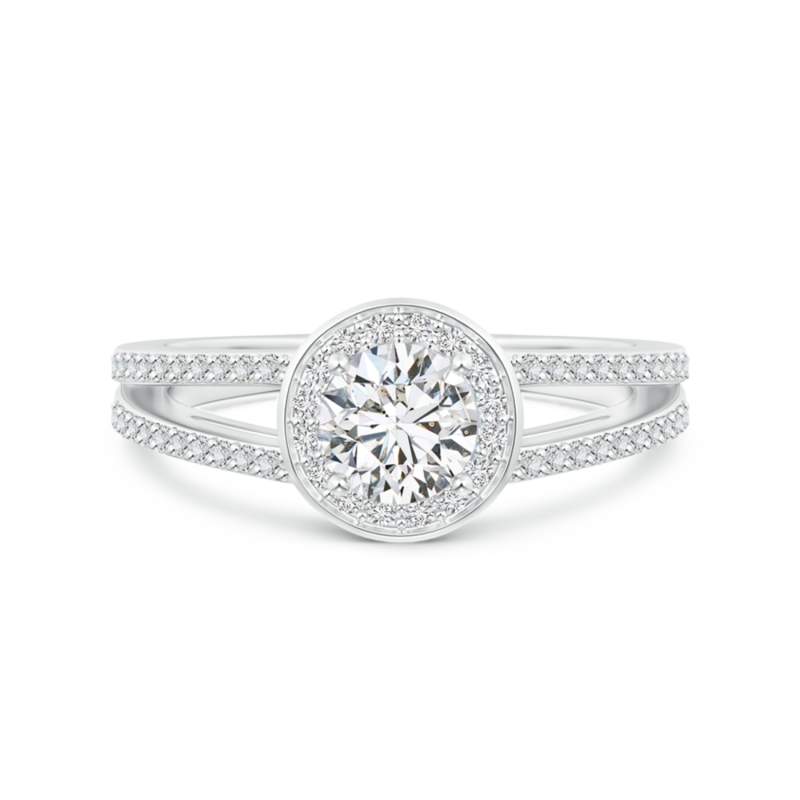 The glistening diamond halo and the diamond accents on the split shank accentuate its beauty. Delicate scrollwork on the gallery infuses a classic appeal to this 14k gold lab grown diamond halo ring.